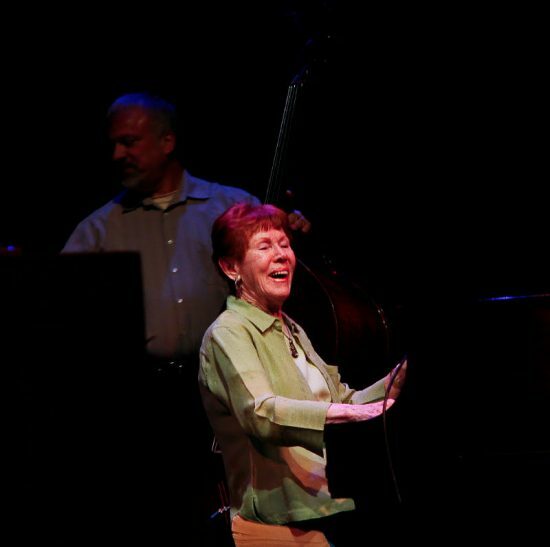 Pianist, composer and bandleader Lee Shaw, who studied with Oscar Peterson, taught piano to John Medeski and worked with Dexter Gordon, Thad Jones, Chico Hamilton, Pepper Adams, Zoot Sims, Al Cohn and others, died Oct. 25 in Albany, N.Y. at 89. The cause of death was not disclosed. Shaw enjoyed a late-career resurgence starting in 1992 when she began performing with bassist Rich Syracuse, with drummer Jeff “Siege” Siegel joining them in 2001. She continued to perform until the end of her life in clubs, nursing homes and for her fellow residents of the Eddy Memorial Geriatric Center, where she lived for her final months. Born in Ada, Okla., in 1926, Shaw studied classical piano in college in Chicago and afterward played in clubs throughout the city. There she met drummer Stan Shaw, a New York native whom she later married. They formed a piano trio and eventually moved to New York, where they played at Birdland and other top venues. After moving to the Albany area, where she lived for the last five decades, the Shaws worked with musicians who came through town. After Stan’s death in 2001, Shaw began working with Syracuse and Siegel. The trio released seven recordings including the 2008 CD/DVD Lee Shaw Trio: Live in Graz, 2009’s Blossom, 2010’s Lee Shaw Trio Live at Art Gallery Reutlingen and 2011’s John Medeski & Lee Shaw Together Again on the Artists Recording Collective label (ARC).